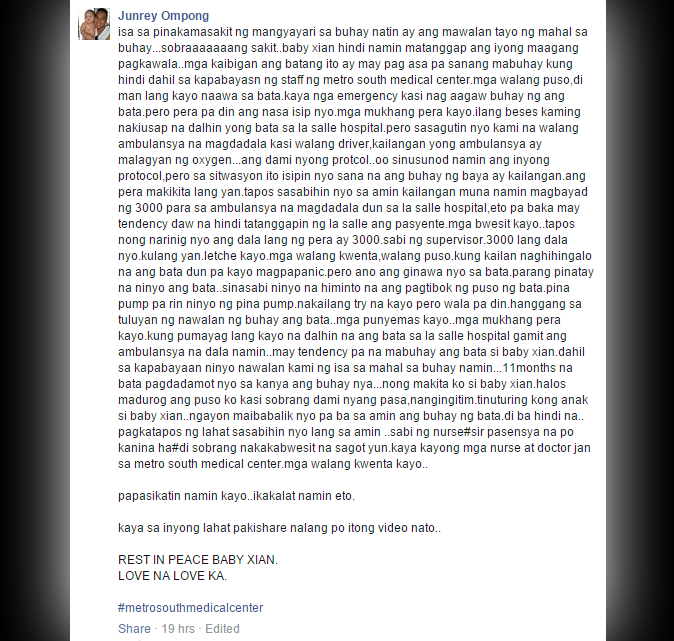 Anger and emotional pain must have overshadowed a father after his baby died in a tertiary hospital in Cavite, the staff of which was accused by him of negligence. According to netizen Junrey Ompong, 11-month-old Baby Xian died of pneumonia but his life could have been saved had the hospital staff of Metro South Medical Center referred and immediately transferred him to the De La Salle University Medical Center in Dasmariñas. 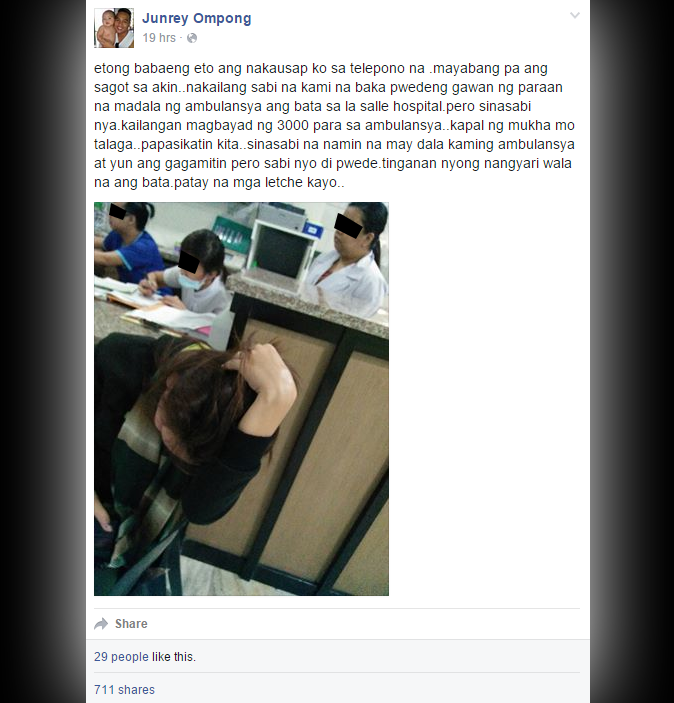 In a viral Facebook post, Ompong alleged that despite of the 'between life and death situation' they were into, a female MetroSouth employee required them to pay the amount of P3,000 before the ambulance can be used to transport the dying child. 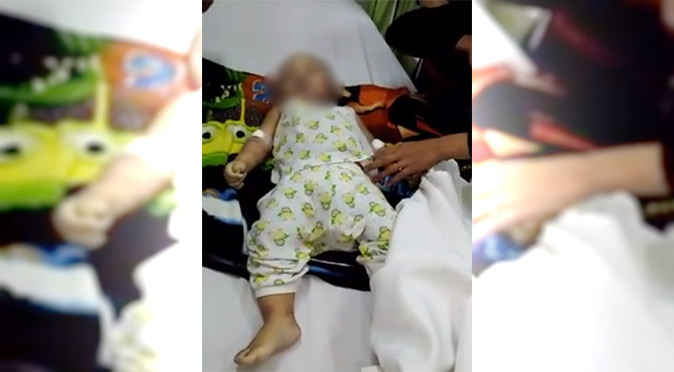 The hurting dad, who said he considers Baby Xian as his own, revealed that the boy had many livid bruises on his body as can be seen in the video he uploaded, which has garnered nearly 200,000 views and over 13,000 shares as of 10:25 a.m. Thursday, September 24. Netizens criticized the medical facility and its staff for their alleged negligence. Ompong called on social media users to spread the video so it can reach media entities in the country. In a separate comment, he said a news team from GMA network already contacted him.